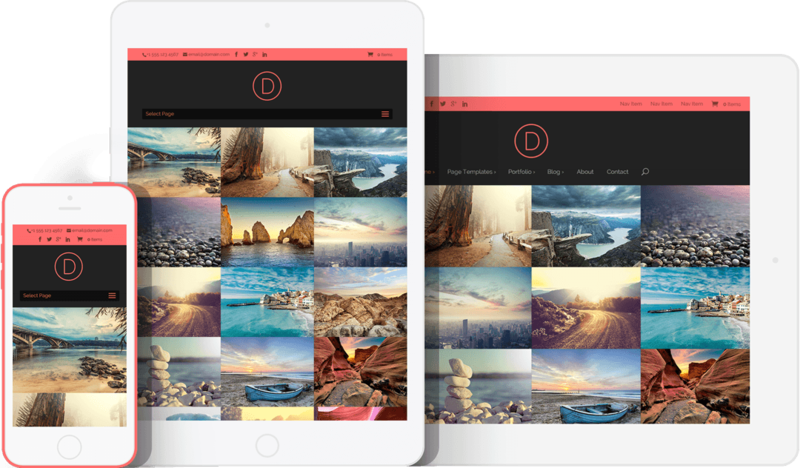 You can easily build your Sunday Streams Website which is built on Wordpress, a very popular and powerful content management system, and a very customizable theme called Divi. 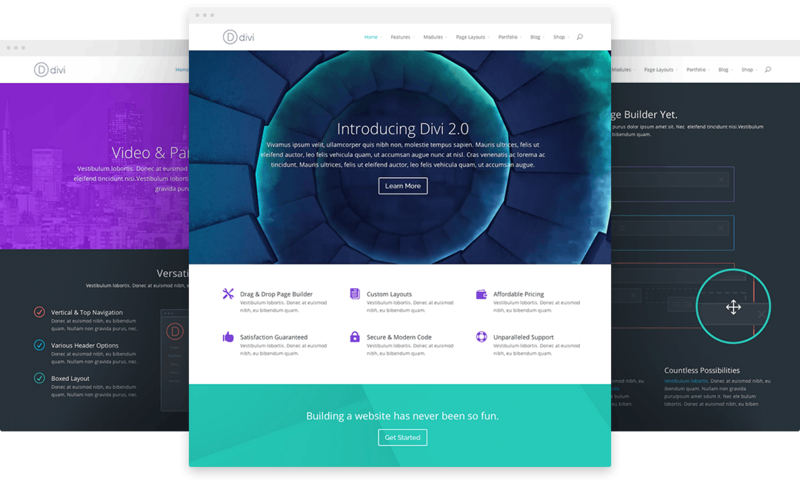 Our builder will change the way you build websites forever. The advanced page builder makes it possible to build truly dynamic pages without learning code. Our layout has been designed with mobile devices in mind. No matter how you use it, and no matter how you view it, your website is going to look great. Sunday Streams Websites is a great foundation for helping you to achieve your strategy for your church website. The builder was made with user experience at the forefront of its priorities. The way it is broken up into sections, rows, columns and widgets, really allows you to understand and edit the structure of your page. 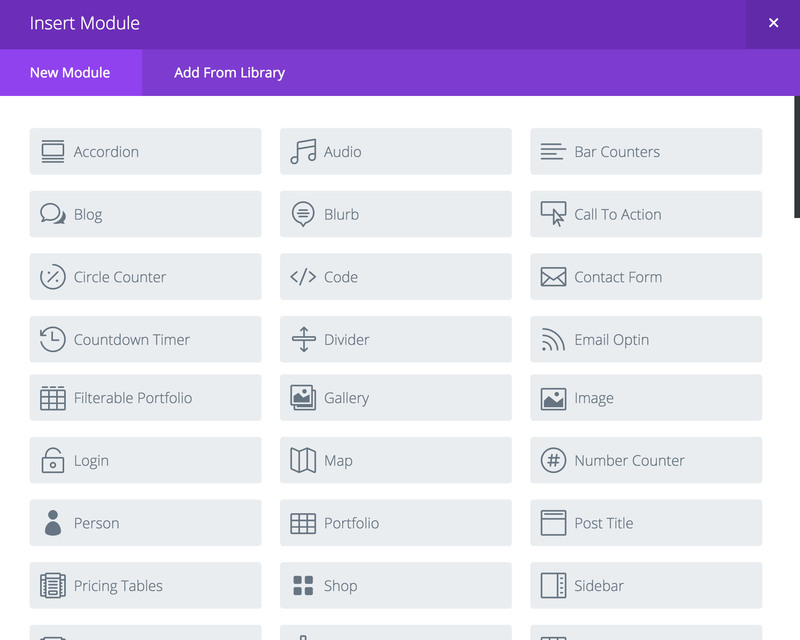 Your editing controls are pulled out of the main content area so that you get a clear and concise representation of how your modules fit into your page layout. 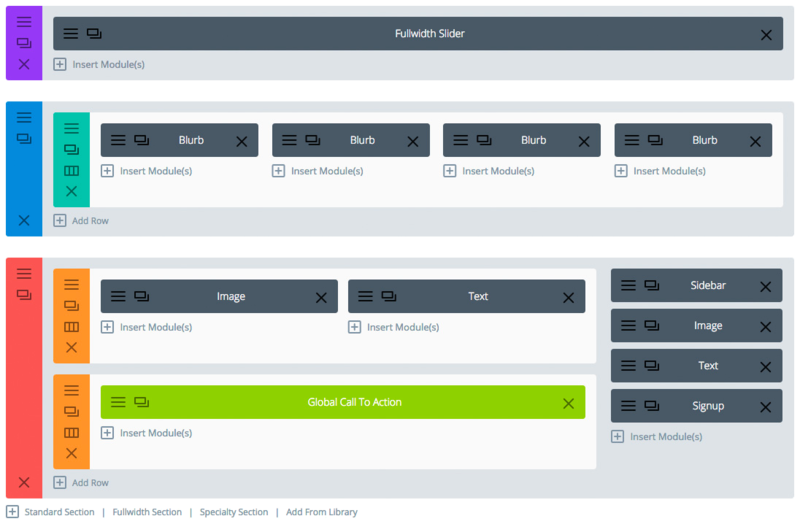 The easy to use builder lets you bring your vision to reality by using the visual editor to create the layout you want by adding the modules that you want and adding your content. We know that your church website needs to be accessible and readable on all devices. With your fully responsive Sunday Streams website your designs look great no matter what. With the builder, you design your desktop website, and we make sure that the website does the heavy lifting for you. 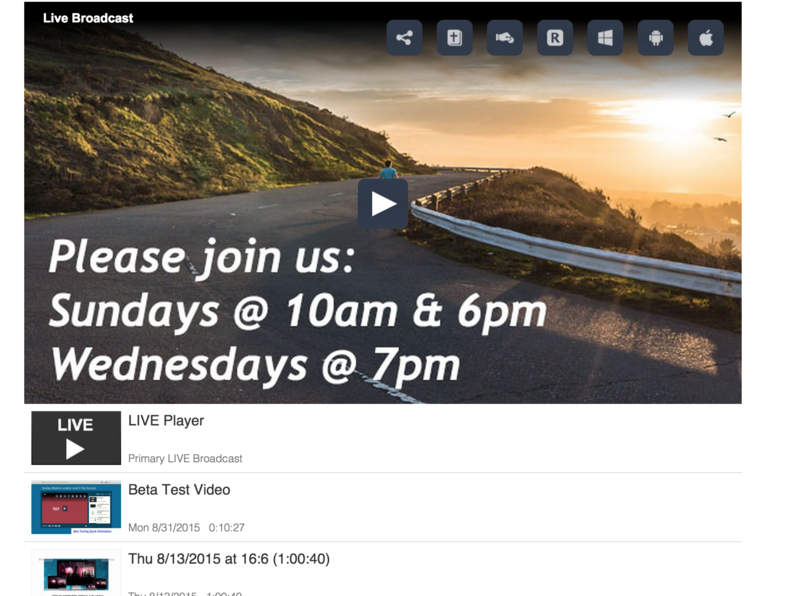 Sunday Streams live streaming integrates beautifully with any website, including Sunday Streams Websites. The responsive embed code lets you embed your live video, archives, and/or the playlists of videos that you have created. Whether you are looking to add a blog, links to social media, media, contact, staff pages or more you can do it with Sunday Streams Websites. If you have a Sunday Streams live streaming account get your free website, or if you don’t have a live streaming account yet then sign up for a free trial and ask for a Sunday Streams Website. Sunday Streams Websites is FREE for all Sunday Streams clients! Sign up for a free trial.